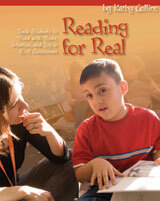 This comprehensive book shows teachers how to use thematic instruction to link skills to content knowledge. Built around eight themes, this book gives teachers and students a solid framework for exploring and understanding history, including how to analyze primary source documents, extrapolate themes, and detect bias in a historian`s argument. Each chapter explains the embedded skills and shows how the lessons correlate to curriculum standards. The book also includes dozens of short activities, in-depth projects, guiding questions, and effective strategies to help teachers bring history to life in the classroom.